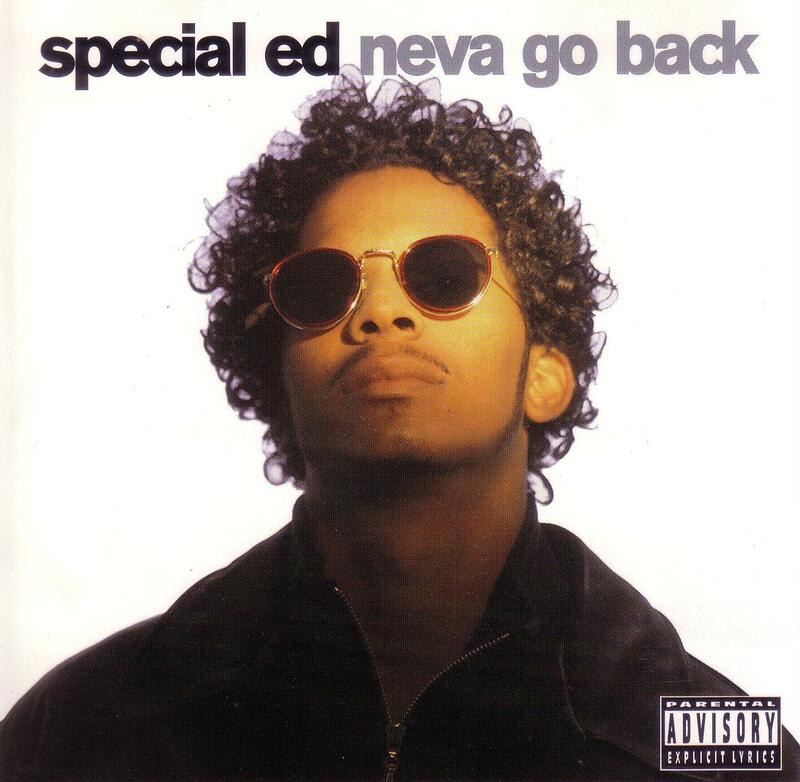 Wayne's Hip Hop Blog : Special Ed's "Revelations"
When the name Special Ed is mentioned, the first two things that come to mind are the classics "I Got It Made" and "Crooklyn Dodgers" (along with Masta Ace and Black Moon's Buckshot). After appearing on the "Crooklyn Dodgers" joint, he stepped away from the scene for about 2 years, returning in 1995 with his third album, "Revelations", two days after my birthday. Even though I'm going to go into this when I cover the album's first single, I recall really wanting this album at the time, but it took me quite some time to cop it. Recently, I was listening to a DJ Juice mixtape (I believe Volume 27) and when he played two songs from this album back to back, the thought came to mind: I'm going to take a look back at Ed's 3rd album, which leads us to this post. Ed wastes no time with the lyrics on this dope opener, featuring a well-timed KRS-One sample courtesy of "Mortal Thought". There are so many dope bars here and respectively I don't want to list the entire song. Check it out. Ed hooked with long time producer Howie Tee for the album's first single, also coming with a good sample of Issac Hayes' "The Look of Love". Just by listening to this one again, Ed aims to show and prove he's more mature and lyrically focused than his "I Got It Made" days (as displayed on the opener as well) and he does a decent job. Also, when I first heard this, I thought it was so dope, which is why I wanted the album so bad at the time. 3. "Rough 2 The Endin"
Backed by a memorable Big Daddy Kane sample ("The Symphony"), this one was ok, nothing more. Then again, Kane's verse in that "Symphony" song was more memorable than this entire song quite frankly. Simply put, this one is for those who choose to run their mouths a little too much. I'll say this, Mark comes with a good beat, and while Ed does have a few dope lines here and there, he didn't catch wreck on this beat like he could've. 5. "It's Only Gettin' Worse"
Interestingly enough, the aggressive side that Ed attempted in the previous song should've been present here. As a warning to the competition, this was decent, but could've been more effective than what we got. I can't recall any specifications, but I know I've heard this one before. Either way, while I remember Reggae still being a popular genre at this point in 95, this was falls short of the usual songs we would get with a rapper and a reggae artist linking up. Furthermore, Ed's flow, which I'll have more to say about at the end, does not sound well when attempting to add a reggae sound to it. The samples, courtesy of Method Man's "P.L.O. Style", were well worked here and it's here where Ed's aggression linked up good with his production. The samples continue, in this case, courtesy of Jeru The Damaja's classic "Come Clean" most notably. Again, another ok song, nothing more. I'm going to keep it real on this one. If an MC was listening to this song, especially during a year like 95, instead of getting the vibe of "wow, this man would be competition for me", the reaction would've been "man I could take this cat" when listening to Ed's flow here. Don't get me wrong, this is not a knock against the man, but rather than a confident approach (especially since he references battling here), he sounds more like he's uninspired with his own material, and lame lines like "I'm takin niggas out like a date" are not going to help. Ed attempts to bring his storytelling skills to the forefront, and while it's not wack, his flow leaves a lot to be desired and the story being told is less than interesting. Plus, you don't want to start any story with, "one day, let's just say that I was bored". Um, not too much to say about this one. It's not great, it's not bad, but it's RIGHT there in the middle and it stays there. A good song here, almost in the same vein as "Neva Go Back", too bad it's coming near the close of the album. Also, it sounded like Nine was in the background here. Apparently nothing was learned from "Just a Killa" because the same reggae influence that didn't work on that song does not work here either. Let's move to the album's closer shall we. This was decent I suppose, but as a closer, it's somewhat anti-climatic quite frankly. Ok, before I talk about the album overall, from the top I'm going to start with Ed's flow. I read that his flow on this album was "authoritative". Now, that may be the case, but he comes off a little too authoritative and at times he sounds inspired, other times he doesn't, creating an "up & down" listening experience. It almost leaves you asking was this the same man who gave us "I Got It Made" back in 89. In addition, I don't have much to say about the production, outside of it being ok to decent in spots. Looking back at my 11 year old self in 95, had I got my hands on this album at the time, I would've been disappointed and likely never played it again. And speaking of the album, again, it's ok, but the potential was there and it wasn't realized in my view. "Lyrics", "Neva Go Back" and "Just Like Dat" are highlights, but everything else is hit or miss (largely miss). I don't recall this album being on anyone's radar at the time, and after "Neva Go Back" left Rap City, that was essentially it for the album specifically and Ed overall. He wouldn't release another album until 2004's "Still Got It Made" (and with the lack of reception and promotion this album had, Ed couldn't have been pleased). 3 stars for "Revelations".